Tiger Muay Thai and MMA training camp will be closed on April 13-14 for the Thai National Holiday Songkran and Thai New Year. Songkran is also known as the the world’s largest water festival and is celebrated for days throughout many parts of Thailand. Many Thai peple will be traveling home to be with their parents and family as is tradition. 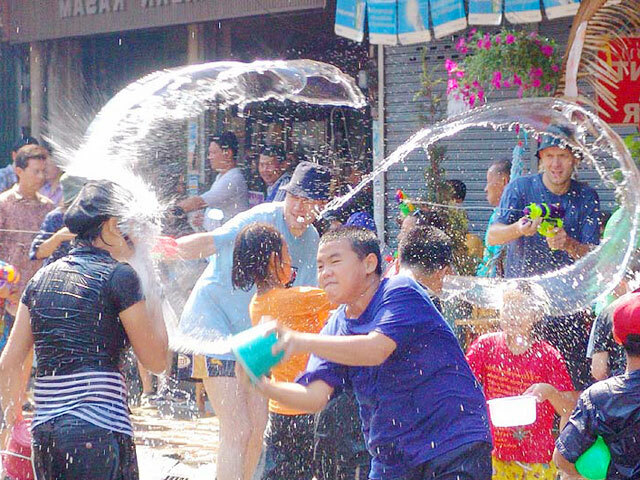 April 13 is SongKran Day and the island will be full of festivities and water games. Guests are warned to pack valuables in plastic water tight bags and be careful on the roads as everywhere on the island there will be water being thrown on people, cars, and everywhere else. This is one of the most important Thai Holidays of the year please enjoy yourselves have fun and stay safe. For Tiger Muay Thai and MMA training camp guests, the office will remain open on April 13-14 for check-ins and check-outs and the Tiger Grill will be open for all our guests.